options a look can be achieved to suit your home and environment. are 1200mm, 1500mm and 1800mm. For the optional screen top panels add a further 300mm. a backdrop to your garden. 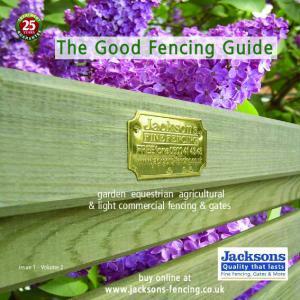 strength and appearance make it a smart choice for fencing. lines to neighbours on both sides. profile provides a distinctive appearance to neighbours on either Stratco store for availability. sheet choice for Good Neighbour fencing for many years and will be around for many more. and durable way to add privacy and security while allowing the light to filter through. speed at the location where the fence is to be installed is required. your area, refer to the brochure titled “Determining Wind Speed”. configuration is suited to your environment. speeds for these various ends are also shown in Tables 1.0 to 1.4.
a tapered end. Corners or openings with solid gates are not classed as free ends. Tapering occurs over the final two panels. The two panels come to a combined height that is two thirds the height of the other internal fence panels, refer to Figure 1.0. The following methods can be used when designing a fence for sloping ground. To cater for ground fall, sloping and stepping of panels can be used. The post spacing remains the same as the rest of fence in both options. screen top infill panels will be required. infill inserted on the exposed post end for a clean finish. unsure of your wind speed refer to the “Determining Wind Speed” brochure. posts supporting a gate, the footing size will need to be increased in depth by 100mm. All posts are to be embedded at least 500mm into the footing. some components are optional and not required in all configurations. the overlap using a size four rivet. Refer to the ‘Good Neighbour Installation Guide’ for installation instructions. and no further than 100mm from the top or bottom of each post. CGI Mini panels need a 38x25mm internal rail, fixed to the posts. bottom tracks at the overlaps with 10x16mm self drilling screws. are commonly fixed to 50mm SHS posts, with an 845mm opening. such as pad bolts and drop bolts are optional extras. calculate your wind speed is W33. of the fence can be standard three sheet panels. The corners need no special treatment. Using the post spacings in Table 2.0 you can calculate the required number of panels. Assuming that you intend to use tapered panels on both free ends, all of the post spacings are 2350mm. AS4055-1992 allowing for a design return period of 25 years. This method has been developed by Stratco with the assistance of suitably qualified engineers to comply with the requirements of the above standards. It is assumed that the soil is natural and in a relatively undisturbed state. © Copyright March 04 All brands and logos/images accompanied by ® or ™ are trade marks of Stratco (Australia) Pty Limited. Report "Good Neighbour DESIGN GUIDE"